Boyd, Sr. has been working in the legal field for the last 52 years. 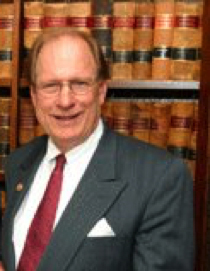 He practiced as a trial attorney with the Allen Law Firm for 30 years. After retiring from the Allen Law Firm in 2004, Boyd decided to join his son, and they formed The Law Office of Collier and Collier, P.C. Boyd has worked with many community organizations, such as Central Virginia Legal Aid Society, Richmond Community Action Program and with the Crestview Elementary School in various mentoring programs. Boyd believes to best represent your community you must volunteer within your community. Boyd has volunteered in the University of Richmond Law School Mentor Program, taught an NITA Trial Practice Course and was on the Law Alumni Board at the University Of Richmond School Of Law. Boyd also participated as a judge during Moot Court Competitions at Regent Law School, in Virginia Beach. Boyd had a very successful career as a trial attorney at Allen, Allen, Allen and Allen. He brings his clients a wealth of experience and excellent service. Av Rating in Martindale- Hubbell An independent international rating service which rates lawyers’ ability and ethical standards. AV is the highest rating available in both areas.